I loved the juxtaposition of the child in the background with the tiger on the hill. 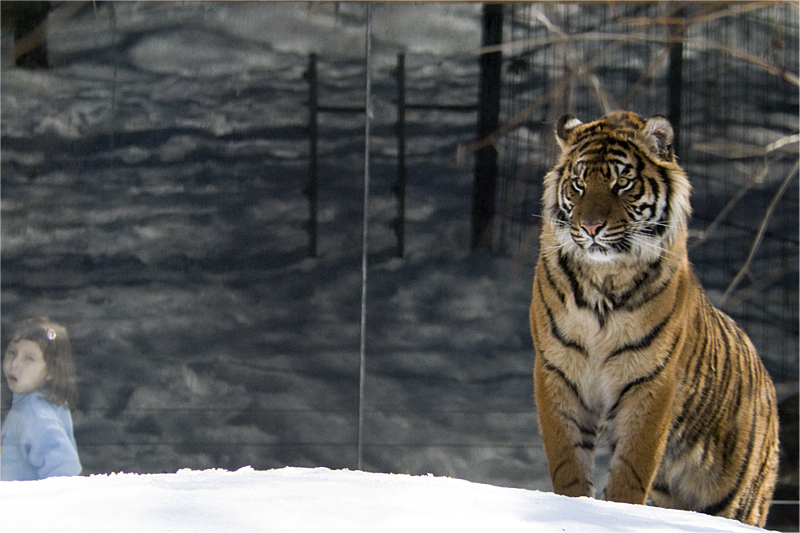 It was a pretty nice afternoon at the Toronto Zoo, and the tigers actually got up out of their den, and walked around for us. This page contains a single entry by Chris published on March 22, 2008 2:23 PM. Morning Light was the previous entry in this blog. Walking from St. George is the next entry in this blog.